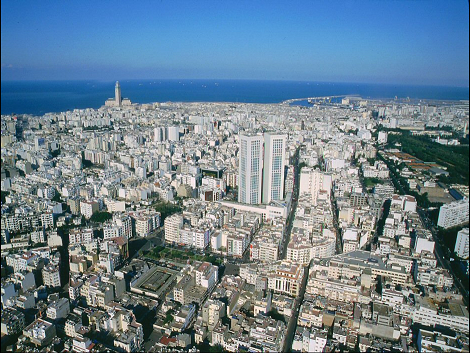 For many people Casablanca is the city they fly into when visiting Morocco. If you have come from the USA, Australia or New Zealand, jet lag it can make the first few hours little difficult. So here are a few hints from people who have done the journey to Casablanca and onwards many times. The Mohammed V International Airport is operated by ONDA (National Airports Office). Located in Province of Nouaceur, a suburb 30 km south-east of Casablanca, it is the busiest airport in Morocco with almost 7.25 million passengers passing through the airport in 2010. There are now three terminals and the general condition of the airport is much improved, although it is reported that HM King Mohammed VI was less than impressed with renovations and improvements when last he did an inspection. Make sure you withdraw Moroccan dirhams from an ATM before you leave the airport building. Because of credit card charges on overseas withdrawals, it is wise to get out the maximum daily limit. This is usually 3000 to 4000 Moroccan Dirhams. Decide in advance of your arrival as to your mode of transport into the city. Rail is inexpensive and takes around forty-five minutes to an hour. There are 36 trains, one departure every hour in each direction. If you take the train you should disembark at Casa Voyageurs station. The downside of the train is that if you have just missed one you will have an hour's wait. The train is also not the finest in the country by a long way and can often be very crowded and many people experience difficulty with lack of luggage space. There are alternatives to the train. The taxi service operated by "grand taxis"will get you to your hotel or the Casa Voyageurs railway station for a supposed set fare. You must agree on this before getting in the car as they do not have meters. The easiest (and our preferred) method is to book an English speaking driver before you leave your home country. An email to contact@aeroporttransport.com will save any confusion. You can check them out online at Aeroport Transfer. The charge between the airport and downtown Casablanca is 250 dirhams, cheaper than most quotes we could get from drivers of grand taxis. Note: in the city taxis are the small red taxis and carry a maximum of three people. Do insist they use the meter. Make a decision about whether or not to stay at least one night in Casablanca before you leave home. After a long-haul flight and the problem of jet lag, it is often preferable to have a night to recover. There is much more to see and do in Casablanca than is first apparent. Staying overnight will give you a chance to visit the Hassan II Mosque, find a really decent restaurant and get a feel for the city before moving on. There are hotels for every budget but the location of the "cheap and cheerful" Ibis chain (located right beside the main Casa Voyageurs railway station and also in the city centre), are the ones to pick if convenience is more important than luxury. (4) Eating out in Casablanca. Port de Pêche - Casablanca Harbour. If "eat where the locals do" is any guide, then Port de Pêche is a winner. Seafood tagines as well as fried and baked dishes are on offer. Go for the fresh fish. The setting and style is delightfully informal with none of the "French restaurant" nonsense seen in some of the cities eateries. Dinner costs about $30. They bring the fish to the table to make sure it's what you ordered. Go early as by 9 pm the queue outside will be growing longer by the minute. This is a favourite with the crew from The View from Fez. (5) Other things to do in Casablanca. 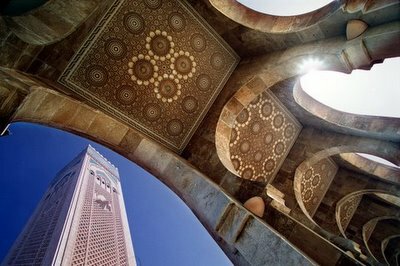 Visit the Hassan II Mosque. 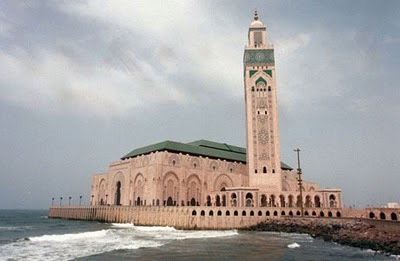 The Hassan II Mosque is the largest mosque in the country and the 7th largest mosque in the world. Its minaret is the world's tallest at 210 m (689 ft). It stands on a promontory looking out to the Atlantic. A total of 105,000 worshippers can gather for prayer at the mosque simultaneously, 25,000 inside the mosque and another 80,000 on the mosque's ground outside. Built on reclaimed land, almost half of the surface of the mosque lies above sea water of the Atlantic. This was inspired by the verse of the Qur'an that states "the throne of Allah was built on water." Part of the floor is glass and offers a view down at the sea. Visit the Jewish Museum. It is certainly worth a visit and for those who know little or nothing of its history and the history of Jews in Morocco, then you will probably find the article "Curating Casablanca" by Eric Trager (2006-2007 Islamic Civilisations Fulbright grantee based in Cairo) worth a read. Visit a shopping mall? Yes, why not? Morocco Mall is said to be the fifth largest mall in the world, and is expected to receive more than fifteen million visitors a year with sales approaching five billion Dirham (600 million US dollars). Just ask any taxi driver. 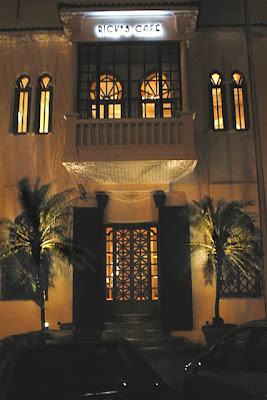 A walking tour of Casablanca architecture is truly interesting. The style of colonial architecture found in abundance in Casablanca is known as Mauresque and came into being during General Lyautey's term of office as Resident Governor of Morocco between 1912 and 1924. See our suggested route here. A car and English speaking driver is a superb way to see the country, stop for coffee or to take a photograph when you want and travel in comfort. As an example, an English speaking driver for up to three people going from Casablanca to Fez will cost 1500 dirhams with some transport firms. Others will cost up to 2000 dirhams. Website: Chrif Trans or email chriftrans@gmail.com or phone Michele Reeves (212) 642 704 601. Thank you for all information, it seem a professional service ! Superb post. Superb Blog. The best information. Thank you!